Ever wonder how many kids in your state are enrolled in Medicaid? How many are uninsured? Or what the effect of Medicaid cuts could have on your state’s children and their ability to access health care? We’ve got you covered. 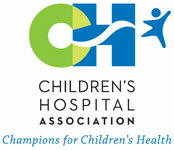 The 2012 State Medicaid Fact Sheets, a joint effort of the Children's Hospital Association and the American Academy of Pediatrics (AAP), provide key data to demonstrate the importance of the Medicaid program to children and children's hospitals in your state (as well as the other 49). For instance, in Virginia, nearly 28 percent of kids are enrolled in Medicaid; any cuts to the program would do great damage to kids’ access to health care. You're encouraged to reference your state fact sheets anytime you contact your legislators (which we recommend you do through our Legislative Action Center), and please contact us if you’d like more information or have any questions. Congress Returns Next Week; What Will They Work On? As the Democratic and Republican conventions conclude and with nonstop talk of November’s elections occupying the news channels, it’s hard to remember that Congress has approximately two more months of work to do before it adjourns for the year. While it’s probable that members of Congress will spend more time campaigning than legislating, there are several issues they’ll likely take up prior to the elections. Chief among these is addressing the so-called fiscal cliff, a slowdown in the US economy that is expected to take place if certain tax cuts and other laws are allowed to automatically expire or, conversely, go into effect at the end of this year. These automatic spending cuts – sometimes referred to in Washington jargon as sequestrations – will significantly reduce spending levels for government programs and increase income and business tax rates. And even though Medicaid was spared from sequestration, a big effect for adult hospitals and children’s hospitals that are part of larger hospital systems will be deep cuts to Medicare payment rates to physicians. The fiscal cliff is the preferred political football on both sides of the aisle; Republicans (including Mitt Romney) say their proposal to reduce the impact of the defense portion of the sequester has been rebuffed, and Democrats assert the Republican-controlled House is causing the slowdown. Other politicians argue the effects are overrated, and much ado about nothing. Regardless of who is right, most debate in Congress this fall will be about the fiscal cliff and Congress will likely address the issue through short-term Band-Aid fixes. For example, Medicare cuts have repeatedly loomed for years now, with Congress passing numerous six- to 18-month fixes in order to avert them. There’s good reason to think that approach will happen again, possibly during a post-election lame duck session. There will also be other issues of interest Congress will bring up, if not pass, such as the National Pediatric Research Network Act, which creates up to 20 National Pediatric Research Consortia to help finance efficient and effective inter-institutional pediatric research. We’ll also keep an eye on the PREEMIE Reauthorization Act, which reauthorizes the 2006 law that helped bring the premature birth rate below 12 percent for the first time in nearly a decade. And of course there’s still the reauthorization and funding of the CHGME program. Last month, Congress passed a continuing resolution which level-funded all government programs until March of 2013, including CHGME. We’ll keep the pressure on for Congress to increase CHGME funding through the expiration of the continuing resolution. Please keep checking back to our blog and Legislative Action Center for updates on these bills and, as we get closer to the November elections, information on candidates and voter registration.